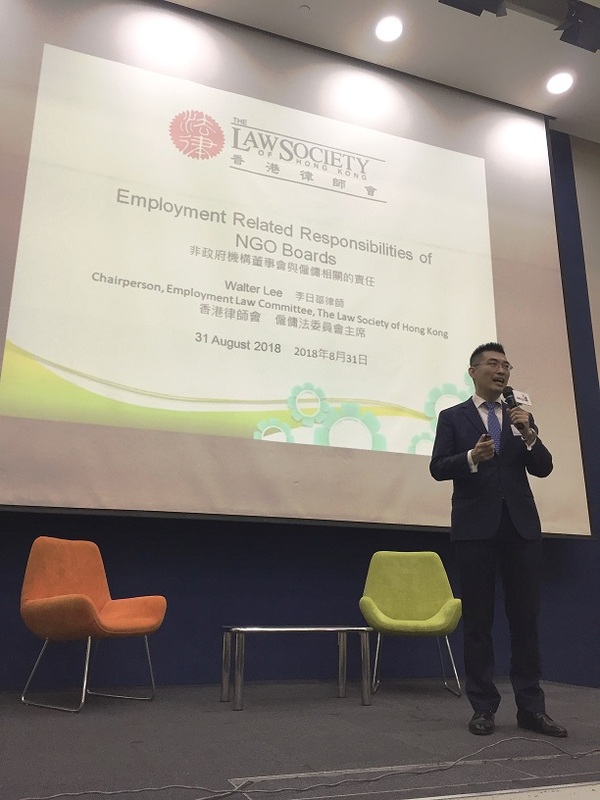 The Law Society was invited by the NGO Governance Platform Project, supported by The Lotteries Fund and introduced by The Hong Kong Council of Social Service (HKCSS), to conduct a seminar on “Employment Related Responsibilities of NGO Boards” on 31 August 2018. Walter Lee, partner of our litigation and dispute resolution department, delivered the talk as Chairman of The Law Employment Committee of The Law Society. Around a hundred NGO Board and committee members, agency heads and senior management of HKCSS Members attended the seminar. Mr Lee shared his suggestions on proactive measures that NGO Boards should adopt to protect the agencies and directors from potential risks and liabilities arising from employment matters and labour disputes. 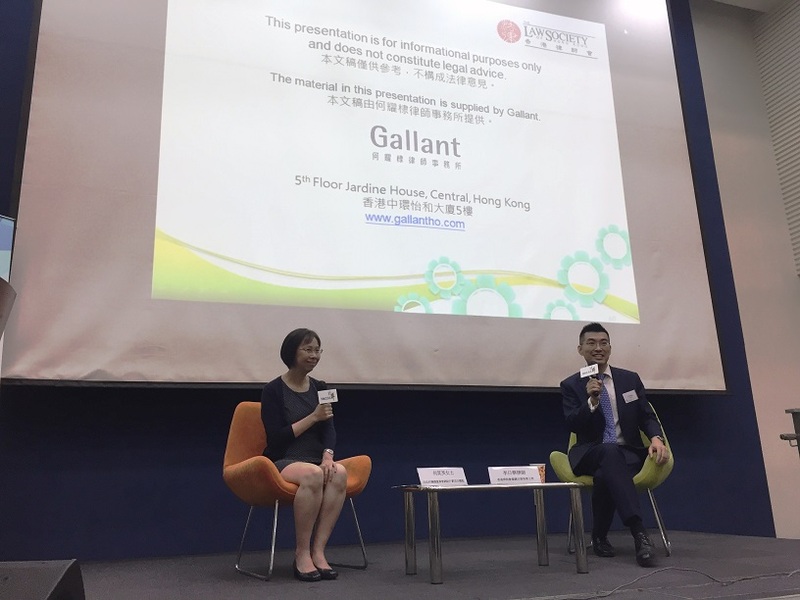 The material presented in the talk is available at: https://governance.hkcss.org.hk/node/286. Mr Walter Lee delivering his talk at the seminar. The half-an-hour Q&A session towards the end of the seminar was moderated by Ms Stella Ho (left), Project Director of the NGO Governance Platform Project. Mr Lee (right) responded to the questions from the participants.